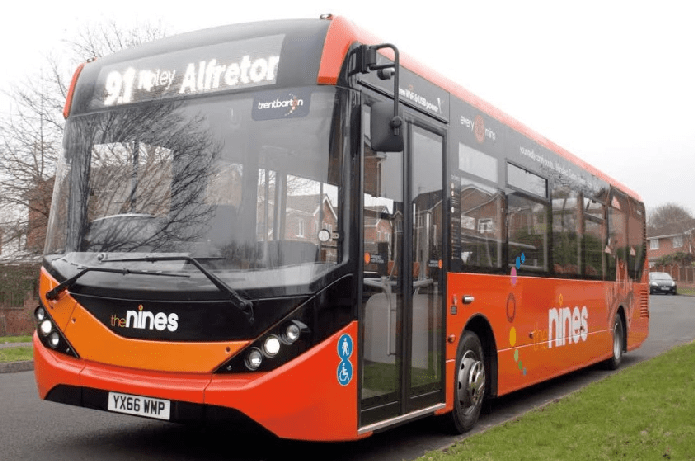 It’s another route with a quirky numbering scheme courtesy of Trent Barton for today on #AYearOfBuses – welcome to the nines. 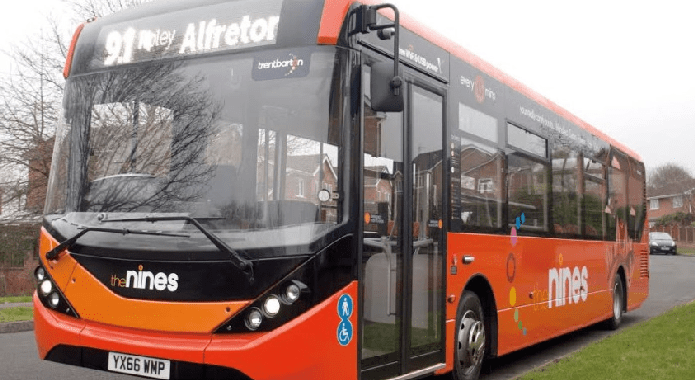 Trent Barton invested £2.5m in a fleet of new, British-built Alexander Dennis Enviro200MMCs for the Mickleover and nines routes in 2017. 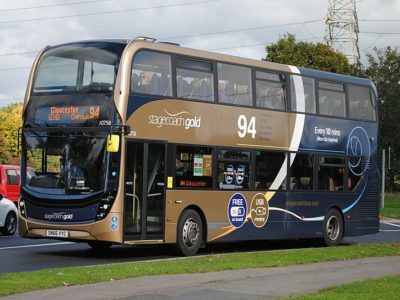 Numbered 9.1 and 9.3, the nines link Derby and Mansfield, with Ripley, Alfreton and Sutton, the 9.1 running through the East Midlands Designer Outlet. 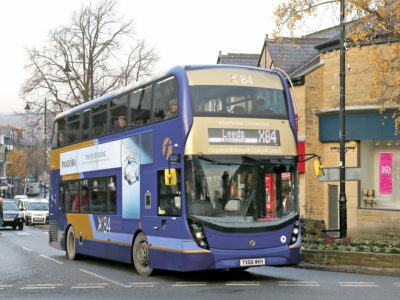 Inside, the new buses feature wood effect flooring, LED lighting, visual and audio next-stop announcements and comfortable seats with extra legroom for all customers. 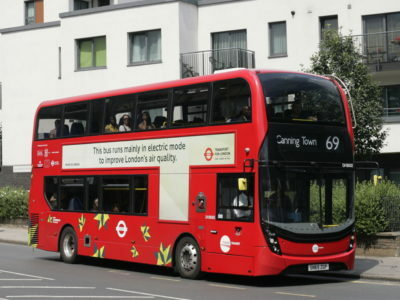 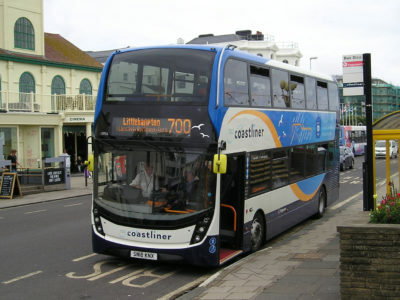 They’re also bursting with technology, including free superfast WiFi and USB power at every seat -and if that wasn’t enough, the buses also have two ‘multimedia shelves’ on board, so customers can comfortably charge their devices on the move.